Çizim: Yazan Khaled Ebuflaha – Al Bayt Universty, Jordan (Ürdün). Despite its geographical distance, Egypt is linked to Turkey with strong historical ties. The Tulunids, Mamluks and Ottomans reign the Egyptian territories for centuries. This togetherness provides proper environment for the interaction of Turkish and Arabic arts. This interaction becomes apparent in various forms in the music. Egypt unexpectedly came into prominence with its music culture in the midst of the XXth century in Turkey. The cantabile Egyptian movies attracted the attention of the Turkish audience for about twenty years. As far as is known, the first short film in Egypt was screened at the Tosunpaşa Theatre in Alexandria on November 5, 1896. Alexandria is an Egyptian city where the small European communities densely populate and the consulates of the Western countries are located. The Alexandria Port was a crucial marine transportation centre- in the absence of aviation during this period- for both the Europeans and Ottomans. Hence, one should not surprise at the screening of the first film in Alexandria. The Westerners in interaction with Europe bring their equipments in a short time to shoot a movie and Alexandria becomes the most important place for the Egyptian film market in a little while. The short film presentations organized by Lumière Brothers were mostly the productions of the Italian, German and French producers. These were shown in small coffeehouses in Cairo and Alexandria. These short films of three to four minutes in length were screened every half an hour in Alexandria. The cinema, mostly sparking the interest of the Westerns in the country in the first years, increasingly started to attract the attention of the local people. The total number of theatres in Egypt mostly located in Alexandria and Cairo had amounted to ten by 1908. Yet, an “Egyptian Cinema” supported by the local capital did not exist in that period. Producer Abdurrahman Salheya hired technicians from abroad to shoot a film and produced short, silent movies. In 1917, movies such as “The Honour of Bedouin” and “The Poisonous Flower” were shot in various studios established in Alexandria during that period. However these were short, silent films produced by the direction or guidance of the Westerners and therefore shall not be considered as the Egyptian films in real terms. By virtue of the state support granted to the show business and to the cinema as per the Egyptian Royal Decree in 1925, a new leaf was turned over for the development of this branch of art. The feature films, in real terms, emerged together with “Layla”, the first feature-length, silent film shot in Egypt in 1927 and financed totally by an Egyptian capital. The Turkish actor, Vedat Örfi Bengü, was the producer and the leading actor beside Azize Emir who also featured in “Layla” directed by the Egyptian Ahmed Cemal in 1927. The “Layla” played by Azize Emir was strongly applauded by the audience in its first run at the Cairo City Theatre. However, the real success of the country in the Middle East film industry started with sound films. The first cantabile Egyptian film, “Unşudet el Fuad” was shot in 1932 and Nadire played the starring role. This film was the touchstone of the process throughout which Egypt monopolized the Middle East’s cantabile film market. When it comes to Egyptian Films, Vedat Örfi Bengü (1900-1953), being one of the leading figures in the cinema sector, and the grandson of Grand Vizier Halil Rıfat Pasha and the son of Mehmet Ali Pasha, comes to mind at first sight. Bengü established the Isıs Corporation in 1927 and started shooting films. Bengü is known as the pioneer and one of the important representatives of the Orient-melodrama cult in Egypt and Turkey. Bengü returned to Turkey in 1931 after having shot the “The Sand of Hell” in France. He had kept away from the cinema until 1948. However, from that on, he appeared in the Turkish cinema with his films and shot the “The Pray of Ayşe” and “The White Owl” movies in 1949 in line with the Egyptian melodrama understanding. The Egyptian films began to play in Turkey in 1936 and a total sum of one thousand a hundred and thirty Egyptian films had been screened by 1948. Thus, even in the early 1950s, the films drew the attention of the Turkish audience more than expected by the Egyptians. These films were the productions in which famous voices such as Ümmü Gülsüm, Muhammed Abdülvahab, Ferid el Atraş, Emel el Atraş (Asmahan), Leyla Murad featured. Beginning from 1935, big film studios were established out of Cairo and even Turkish artists, namely Perihan Altındağ Sözeri, Münir Nureddin Selçuk, visited to these studios. These studios led to increase in the number of films made in Egypt. Certainly, Muhammed Abdülvahab (1907- 1991) is one of the names that come to mind while speaking of the Egyptian films. Following the emergence of the sound films, he achieved to reach the beauty of his voice to large masses. Abdülvahab composed songs for the majority of the Egyptian films and played the reading role in some of them. He listened to the Turkish classical music with pleasure and was a big fan of Tambouri Cemil Bey. Abdülvahab performed in totally fifteen films, each being a musical rich in beautiful songs, between 1933 and 1950, including his first film “El Verdatü’l Beyda/ The White Rose” in 1933. Muhammed Abdülvahab did not hesitate to introduce different saz or musical forms, including those of the Occidental music, into the orchestras performing his compositions. The following statement, “… The taste of the public will shape in a manner to understand the orchestral order. The future of the Arabic music that has to be universalized lies here…” belongs to Muhammed Abdülvahab. The famous Egyptian composer and vocal artist Muhammed Abdülvahab was handled in the 29th Issue of the Turkish Magazine, Resimli Radyo Dünyası (The Illustrated Radio World) dated 04.01.1995. A photo of him with Leyla Murad taken in the admired “Yahya el Hubb/Long Live Love” film that had been screened in Turkey was also displayed in this two-page article. The “Yahya el Hubb” that was based on a novel of Abbas İlham was shot in 1937 and directed by Muhammed Abdülkerim. In the article issued under the signature of Selami Münir Yurdatapan with a title “The Great Love of Abdülvehab”, it was commented as follows: “…Abdülvehab is the primary of the best-loved Egyptian artist in our country. His films which are in great demand are the key evidences of it…” and his position in the cinema was examined: “…Is Abdülvehab a moving-picture actor? In reply, we can say-No! It is the beauty of his songs and his original compositions that have endeared him to the public…” With the foresaid statement, it was underlined that the beauty of his voice overrode his motion-picture acting in his success throughout Turkey. With the introduction of the Egyptian films into Turkey in 1930s, the influence of the Arabic music on the public became apparent. In fact, the first trend towards the Arabic music in Turkey officially started in the pursuit of a ban imposed on the Classical Turkish Music broadcasted via Turkish radios between 1934 and 1936. In reaction to the Classical Occidental Music, the public went after the music played on the Egyptian radios, of which modes were not unfamiliar to the Turks. The “Damüa’l-Hubb/ The Tears of Love” that cannot be disregarded by researches when it comes to the Egyptian films should also be mentioned here in detail. The film shot in 1936 and in which Muhammed Abdülvahab played the leading role began to play at Taksim Theatre in İstanbul in 1938. This film became famous with the songs of Abdülvahab and with its theme within a relatively short time. Masses gathered in front of the theatres of İstanbul and people, no matter come rain or shine, unprecedentedly trampled over each other in order to find a ticket. In the said era, the population of İstanbul was around six hundred thousand. Considering the number of cinema tickets, seven hundred million tickets were sold in 1939 in İstanbul. “The Tears of Love” was watched by a hundred twenty thousand people at the Taksim Theatre and by a hundred and fifty thousand people at the Ferah Theatre. As can be inferred from its name, “The Tears of Love”, highly admired in İstanbul and in other Anatolian cities, treated a tragic love story. After all, the Egyptian films, generally, narrated the rich-poor relations in an exaggerated manner. The famous singers of the era used to sing in these films. To make the audience cry was their target. The success attained by “The Tears of Love” in Turkey did not end with it. Hafiz Burhan Sesyılmaz (1897-1943) sang the tango composition of Muhammed Abdülvahab, named as the “Sahirtu” in Turkish and broke sales record in Turkey. There was no alteration to the composition; it was the same as original sang by M. Abdülvahab in the film. Only on the Columbia record, the name of Hafiz Burhan Sesyılmaz was written as the owner of the lyrics. However, just at the beginning of the record, before the start of the song, Turkish listeners were informed by the Columbia Record’s artist, Kemal Şanman from Beşiktaş: “The tango from the Tears of Love movie”. Moreover, as is the case with some other admired Egyptian films in Turkey, “The Tears of Love” constituted a source for the Turkish movies to be made subsequently. N. Saydam in 1959 and Z. Davutoğlu in 1966 made a film by using the same name. Interestingly, Selami M. Yurdatapan, translator of the most of the Egyptian films into Turkish, put a book having the same name on the market in 1940. Particularly, the Taksim Theatre in İstanbul ranked among the top places running these Egyptian films. The report issued on the Milliyet Newspaper of 19.10.1983 was imbued with quotes from those days: “… A love and sensational movie in Turkish language and with Arabic songs called ’The HOPE SONG’ (Neşe-i Emel) will be at the Taksim Theatre on September 22, 1939. Starring: Ümmü Gülsüm-The unique woman artist and the music queen from the Brother country, Egypt…”. Gülsüm charmed the whole Middle East for a certain period with her films. She played a starring role in totally six films, the first of which was shot in 1936. These were as follows: “Vidad” (1936), “Neşid el Emel” (1937), “Denanir” (1940), “Aydah” (1942), “Sellame” (1945), “Fatma” (1947). 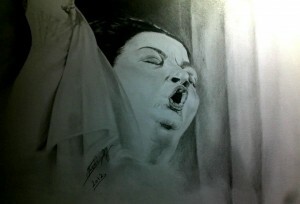 The “Neşid el Emel” (The Song of Hope) played by Ümmü Gülsüm passed in Cairo and narrated a part of life of a young singer. The problems of the young singer with his ex-convict husband ended with her marriage with a famous wealthy doctor. What granted privilege to this film was the song named “Ya Şebab el Nil”, also known as “The University Song” which called the university students to take an action for the sake of their countries. The lyrics of the said song belong to Ahmed Rami while the composition belongs to Riyad el Sunbati. Ümmü Gülsüm played a virtuous slave girl who was loyal to her master in the “Sallame” movie. She ingeniously performed different genres of composition (eulogy, acrostic, religious yarn) in the film. “Ghanili şuveyye şuveyye = sing me your song slowly” is engraved in the memories as the most famous and cheerful composition in this film. This song was sung by Perihan Altındağ in its original language in the night-clubs in İstanbul and its lyrics were published in the Turkish magazines. The great and irrepressible interest of the public in the imported Egyptian films disturbed the single-party rule. The Republican People’s Party (CHP) as the ruling party of the era intended to diverge the country from the Middle East in cultural terms. Firstly, the trend towards the Arab radios and later on, the influence of the Egyptian films on the country caused disturbance in the government. However, the government, which failed to suppress the interest and passion of the public in the Egyptian films, imposed the same ridiculous ban it had placed on the Classical Turkish Music. As a consequence, the great demand in the Egyptian films in Turkey, notably the “Damüa’l Hubb/The Tears of Love” laid the foundations of an unprecedented future for these films in Arabic language and with Arabic songs. The CHP wrote a petition to the address of the Ministry of Home Affairs by pretending the Arabic-speaking citizens densely populated in some cities such as Mersin and Adana: “ … Due to the fact the interest of the public in the Turkish language, residing in the cities under the influence of Arabic culture, decreases owing to the influence of the Middle East’s cantabile film market, it shall be required to ban broadcasting these films in Arabic language. Henceforward, the Department of Press banned the running of films with Arabic songs in their original languages. As can be understood from the notice in the Cumhuriyet Newspaper in 1940, the dubbed versions of the Egyptian films with songs were screened in their original languages, namely in Arabic. In the notice with respect to the Egyptian film at the Taksim Theatre it was said: “…Yıldız Sultan: The greatest love film of the season in Turkish language with Arabic song; Abdülgani Esseyid: the rival of the greatest singer of the Orient, Abdülvahab; Necat Ali: the unforgettable singer of the “Tears of Love” Movie will be at the Taksim Theatre as of today’s matinee…” . Yet it is seen that even songs were affected by the said ban in certain implementations. However, following the prohibition of screening Arab movies in Arabic language in Turkey, the situation got complicated and tragicomic. The most ridiculous form of prohibition became evident in the songs of the Egyptian singers; because not only the speeches but also the songs in Arabic were prohibited! The great interest of the public in the Egyptian films led to the flouting of Arabic ban introduced to the films via new discovery: adaptation! The Egyptian films were in Arabic but their music was very admirable and catchy for the Turkish audience. Besides, the Arab vocal artists were famous for the beauty of their voices. Therefore, the public would prefer this music to the Occidental musical, which it did not understand at all. However, as the lyrics could not be memorized, only the composition could be learnt. Some Turkish composers attempted to translate the songs in the movies into Turkish. These attempts earned success within a short time. When the Arabic singers started to sing in movies, another singer, for instance Müzeyyen Senar, would sing instead of them in Turkey. Thus, Turkish composers, namely Saadeddin Kaynak or Münir Nureddin Selçuk, would make compositions in substitution for the compositions made by the Egyptian Muhammed Abdülvahab. The songs would be released in Turkey after Turkish lyrics were written for them or Turkish composers would make new compositions through inspiration. The doubling sector flourished during that banned period in Turkey and the Arabic language ban in the Egyptian films, holding the most popular foreign films’ title on the market, played a crucial role in its development. Gökhan Akçura informed on the “Açık Radyo” (Open Radio) that: “… One of the reasons lying under the flourishing of the doubling sector is the Arabic movies that conquered the market. These films of Egyptian origin were not only dubbed; but also all the songs were re-composed and sung by famous singers. For instance, on the pamphlet of the Egyptian movie, “The Bitter Memories”, the actors occupied one –to-two sentences while the “Dubbing Artists” were displayed in big frames. Yet the principal emphasis was put on the lyrics. ‘The music adaptation and compositions of this song were made by our romantic, sensitive and decent composer, Salahaddin Pınar and sung by Safiye Ayla…”. The Turkish dubbing movies did not decrease, on the contrary, increased the interest of the public in the Egyptian films. The Egyptian films did not only receive appreciation in İstanbul but also rode high in other Anatolian cities in which they were at theatres. During these years, almost all moviegoers knew the Egyptian artists. Yusuf Vehbi (1898-1982), one of the most important movie director and actor in Egypt, became from a very wealthy family. Vehbi received theatrical education in Rome and gained success on the Egyptian film market. Salahaddin Pınar composed and Suzan Güven, together with Lütfü Güneri, sang the songs of the “Qualms of Conscience” movie in which the Egyptian director Yusuf Vehbi, producer and actor whose films were shown in Turkey and the fan of Münir Nureddin, played a leading role. Another movie called “An envoy from Hell”, in which Yusuf Vehbi played a starring role and in which also Leyla Fevzi, Fuat Şekip and Beşare Vakim featured, was posted on the show cards announcing “in Turkish, with music” and began to play in its adapted Turkish version at the Tayyare Theatre in 1946. “Evlad el fukara/ The Children of the Poor” by Yusuf Vehbi earned a fair and square (!) reputation by making everybody cry. Emine Rızk (1910-2002) appearing in this movie performed in forty-five movies. The movie in question was so admired that years after, Memduh Ün shot the adapted Turkish version of “The Children of the Poor” . Enver Vecdi is the other Egyptian actor, producer, director and the screen writer who became famous in Turkey (1904-1905). The father of Vecdi was Syrian and his mother was Egyptian. Enver Vecdi earned great success in the Egyptian film market and directed ninety-two films. Enver Vecdi, having got marriage three times, shot one of these films with Leyla Murad who was the actress of his film company at the same time. Leyla Murad (1918-1995), famous for her legendary beauty and voice, certainly played a crucial role in the Egyptian films being widely acclaimed. Emel el Atraş, with her silky voice, became famous with a stage name “Esmehan”. His brother Ferid el Atraş (1915-1974) was a vocal artist who performed in various films. Samiye Cemal whose real name was Zeynep İbrahim Mahfuz (1924-1994) was a belly dancer and an actress. She particularly appeared in tens of films in which Ferid el Atraş performed. The other indispensable belly dancer of the Egyptian films during this period was Tahiyye Karyoka (1920-1999). Although her real name was Tahiyye Muhammed, she was called “Karyoka” on the grounds that she danced Samba very well. In fact, the “Carioca= Karyoka” song was composed by Vincent Youmans in the “Flying Down to Rio” Movie. Besides the above mentioned names, the comedian Beşare Vakim and, undoubtedly, Ümmü Gülsüm, “The Nightingale of the Orient” became famous in Turkey. Saadeddin Kaynak arranged the music of the eighty-five Egyptian films between 1940 and 1950. Yılmaz Öztuna noted that the Arabic music influence on the Turkish music started with the film music adapted by Saadeddin Kaynak from the compositions in the Egyptian films. Saadeddin Kaynak composed songs, most of which lyrics were written by Vecdi Bingöl, for the Egyptian films from which Arabic songs were removed. Kaynak gave the majority of the songs composed by him for the Egyptian films to the Odeon Company so that a record could be released and these songs were sung on the records by artists affiliated to the Odeon Company such as Müzeyyen Senar, Tahsin Karakuş and Münir Nureddin. During this period, Mustafa Nafiz Irmak, Salahaddin Pınar, Hüseyin Coşkuner, Kadri Şençalar, Şerif İçli, Artaki Candan, Sadi Işılay, Şükrü Tunar made arrangements from Arabic songs into Turkish music. However, neither the compositions nor the voices and the lyrics were the same in this way. Moreover, the Turkish songs in the Egyptian films hindered listening to the well-known Egyptian artists in Turkey with their own voices. Thus, the Egyptian films featuring Ümmü Gülsüm and Muhammed Abdülvahab were screened in Turkish dubbing during this period in Turkey. However, the films continued to spark the attention of the public. Orhan Okay told those days in the Zaman Newspaper of 07.07.2002 as follows: “…The fame of Sadettin Kaynak increased with the flood of the Egyptian films. As far as I remember, some songs in these films remained original, in Arabic. The theme of these films most of which were, at the same time, made by the famous Egyptian singers such as Abdülvehap, Ümmü Gülsüm, Yusuf Vehbi, Leyla Murat perpetually treated unhappy love stories: “The Tears of Love”, “Long Live Love!”, “The White Rose”. The majority of the audience was composed of women prepared to cry with their spare handkerchiefs in their bags. It is for sure that the Arabic cinema has influenced the subsequent local films…” Thanks to the information provided by Okay, the original place and the period on which the song and tear tradition in Turkish movies were based can be understood. Özdemir İnce told those days in the Hürriyet Newspaper of 14.09.2003 with these words: “…The Egyptian films, in which actors- actresses, singers and dancers such as Yusuf Vehbi, Abdülvahab, Behiyye Şıkşık, Tahiyye Karyoka played starring roles, were shown especially at the open air theatres in 1950s. The bellmen holding the show cards covered with the posters of these films cried out along the streets: “The Tears of Love in Turkish with Arabic songs!..”. Ülkü Özel Akagündüz noted in the Aksiyon Journal of 12.02.2007 the following and spoke of the influence of the Egyptian movies on the media during that period: “The role of Ümmü Gülsüm in the cantabile films in Turkey is indisputable. An advertisement on the newspaper distributed by the Taksim Theatre announces: “The Vedad, a super movie in which the unique vocal queen Ümmü Gülsüm with whose crystalline voice we are familiar by means of international radio, gets the most succeed, is at the Taksim Theatre as of today’s matinee!..” The aforementioned film “Vedad” made in 1936 and being the first film of Ümmü Gülsüm in which she also played the starring role ranked among the biggest productions of the era. The film passed in the 13th century of Egypt and treated the great love of the slave dealer who was obliged to sell his inamorata slave singing songs and their rejoining in the end. The beautiful songs sung throughout the movie charmed the audience. Ümmü Gülsüm sang “ya bahcet el ıyd el said”, “leh ya zaman”, “ya tair ya ayeş asir”, “ala beled el mahbub”, “ya beşir” in the movie. One of the most admired films by Turks was the musical film shown in our country as “The Dearest of Harünürreşid” in which Ümmü Gülsüm played the leading role. This Egyptian film imbued with songs began to play at the İpek Theatre in İstanbul with Turkish songs sung by Müzeyyen Senar. The same musical film was screened at the Saray Theatre in İstanbul with the Arabic songs of Ümmü Gülsüm. Despite the ban on running films in Arabic language, there were certain exceptions, as in this case. An emphasis must be laid on a detail related to this film. This Egyptian film was a musical production. Thus, presenting this film with Turkish composition passed into history as the most ridiculous and unprecedented implementation exposed by a musical film. Müzeyyen Senar sings these songs listened with pleasure in “The Dearest of Harünürreşid”: Songs in tune Hejaz “Bu yerler ne füsunkârdı”, “Enginde yavaş yavaş günün minesi soldu”, hijazzkar songs “Çiçeklerin gülüyor sevincinden”, Muhayyer songs “Yolculuk var”, songs in Nihavent (rast) maqam “Söyle kuzum hayaline, onu biraz unutayım”, Segah song “Derman kar eylemez, ferman dinlemez”, Mahur song “Hoş geldin elimize şiir oldun dilimize” . The Turkish songs composed for the Egyptian-made “Layla and Majnun” movie were sung by Müzeyyen Senar: “Leyla bir özge candır”, “ Ey ipek kanatlı”, “Ne yaptım kendimi nasıl aldattım”. The songs were sung by Senar on the records of the Odeon Company. Saadeddin Kaynak composed songs for an Egyptian film in which the leading role was played by Yusuf Vehbi and the songs were sung by Safiye Ayla. Saadeddin Kaynak composed the poems of Vecdi Bingöl which were sung by Müzeyyen Senar for the films shown in our country as “Selahaddini Eyyubi and Grey Lion”. On the movie poster, it was written: “ …the song, composition, prelude and etc are re-made by the Master Sadeddin Kaynak, the songs sung by Münir Nureddin Selma in the Grey Lion is interpreted by Müzeyyen Senar, the dance song by Tahsin Karakuş…” As can be seen, the ban introduced on the Egyptian films paved the way for the enrichment of the Turkish Music in Turkey. Most of the aforementioned songs are still listened with pleasure in Turkey. With respect to the “Sadullah Aga” Movie made by Perihan Altındağ Sözeri with Münir Nureddin Selçuk; Perihan Altındağ Sözeri, by underlining the just success of the Egyptian films in our country, told in a statement to the Resimli Radyo Dünyası in 1950 that: “ …As to the best of our knowledge, Arabic films draw more attention than our films… However, this does not mean that we cannot shoot a film…” . In the special issue “Sözeri” of the Resimli Radyo Dünyası of 1950, the way the Egyptian artists were known in Turkey was explained in these words: “…In our country where the Eastern films are in great demand, there is nobody who is unfamiliar with Ümmü Gülsüm…”. The reflections of Perihan Altındağ Sözeri’s visit to Egypt became the subject of news in İstanbul even a year after the visit. It was also justified by the “Radio Haftası” (Radyo Week) Magazine published in İstanbul. In the 37th issue of the Magazine published in 1952, the following information took part: “… The great success attained in Turkey by ‘Ganili Şuayye’, which Perihan Sözeri learnt from the Egyptian vocal queen Ümmü Gülsüm in her visit to the Egypt, is of common knowledge…Perihan Sözeri song the second song she had learnt from Ümmü Gülsüm in her concerts in the Tepebaşı night-club for ten days… It attracted more attention than Şuayye…” This news was an essential justification of the influence of Ümmü Gülsüm on our country during this period. The lyrics of the mentioned song “Ğannili şuveyye şuveyye” (bana yavaş yavaş şarkı söyle) in the rast maqam firstly interpreted in Egypt by Ümmü Gülsüm and in Turkey by Perihan Altındağ Sözeri belong to Bayram el Tunusi and its composition belongs to Zekeriya Ahmed. The deceased poet Attila İlhan explained and charged Ankara in the Cumhuriyet Newspaper of 20.05.2005 with refraining from the Arabic influence on the country: “The Egyptian films charmed the public for years; the posters of Yusuf Vehbi and Leyla Murat covered the walls; somehow, Ankara refrained from it and banned the import of these films; Yeşilçam started to imitate the ‘Arabic films” in order to fill the gap created on the part of the clients…” As explained by İlhan, following the halting of the import of simple lachrymatory Egyptian films full of songs, the Yeşilçam films did not get late to fill the gaps rapidly by producing films of the same quality. In fact, some time later, Turkish films especially made in 1960s were based only on songs like Egyptian films, and song or songs became famous rather than the theme itself of the film. Ahmet Yüksel Özemre explained the influence of Egyptians films on Üsküdar in his book Hasretini Çektiğim Üsküdar (pg 152-153) as follows: “…In 1940s of Üsküdar, there was a flood of Egyptians films at the Hale Theatre and Bizim Theatre. The cry-baby women from Üsküdar would watch these films for several times in order to cry abundantly. The best-loved actor and actress were Muhammed Abdülvehab (1907 – 1988) and Leyla Murad (1918 – 1995). Their romantic film called “The Tears of Love” was screened seven times in five years. The other favourite Egyptian actors and actress were Emine Rızık (1910 – 2003), Yusuf Vehbi (1900 – 1982), Enver Vecdi (1904 – 1955), Ferit Atraş (1915 – 1974), Abbas Faris and belly dancers Samiye Cemal and Tahiye Karyoka (1920 – 1999). To the best of my belief, Hafiz Sadeddin Kaynak (1895-1961) composed the film movies of the Egyptian movies “Layla and Majnun” and “The Istanbul Girl” made by Yusuf Vehbi in İstanbul in 1946. The Üsküdar residents also admired the voices of Abdülvehab and Ümmü Gülsüm (1898-1975), known as “The Nightingale of the Orient”…”. The Egyptian films during this period were not only watched with pleasure in İstanbul; but also in various Anatolian cities, just as the case with the Egyptian radio being listened with great interest throughout Turkey. For instance, Prof. Dr. Yahya Sezai Tezel told his experience related to the Egyptian films in Trabzon located on the Black Sea coast: “…The songs of Sadettin Kaynak take me back to my childhood before the elementary school… The theatre building constructed by Trabzon Rums before the World War I was used as the Sümer Theatre… The Egyptian films were shown in Turkey during the World War II. Ümmü Gülsüm and Abdulvahap were the most famous singers and actor-actress. The songs were also translated into Turkish through dubbing…”. The same situation applied to Konya in the Middle East as well. Actually, when we look in general, it is understood today that the country was influenced by the Egyptian films more than what is expected. The Yeni Sinema in Konya playing mostly Turkish films is known to screen plenty of Egyptian films. In the words of Galip Yıldırım who was engaged in cinema as of 1951 and even earned reputation as “The King of Movie-Makers” : “… I know that ‘The Mother’s Right” was run for forty-five days. The Egyptian films were generally dubbed in Turkish. The film music was in Turkish. These songs were composed by Hafiz Sadeddin Kaynak…” . The composer Yusuf Nalkesen, child of the Rumelia migrant family, described the Egyptian films he watched in the Aegean Region as follows: “…There is always junior Yusuf among the audience at the first raw in the concerts organized in the city park. Later on, through music broadcasts of the Radio bought for the Community Centre, the music of the Arab-origin musical films screened in summer at the open air theatres; and thanks to Ümmü Gülsüm etc, the products of Turkish music from the Turkish Movies were added…” . Ülkü Tamer reminisced about the Egyptian films from his childhood in Gaziantep in the Sabah Newspaper of 28.01.2008: “…Every Wednesday and Saturday, we used to go to the cinema with my grandmother, mostly to the Arabic movies. We watched “Cemile under the Date Palm”, “Layla and Majnun”, “The Tears of Love”, “The Girl of the Pasha”, “The Dearest of the Harünürreşid and “The Children of the Poor”, for several times, which not only amused Gaziantep but also the whole Turkey!.. I would love Enver Vecdi and Leyla Murat. There were actors as handsome as Enver Vecdi in the American films; however, there was nobody as beautiful as Leyla Murat. She went blind in one of the movies. She was in love with the inattentive Enver Vecdi. However, she was afraid that he would feel pity for her if he learnt her blindness. She did not want such a love and commitment. She called Enver Vecdi to her house via a friend. Poor Enver Vecdi… He did not know that Leyla Murat was blind. Leyla Murat said bitter words as much as possible. She cried: “I don’t love you. Get out of my life!” In the mean while, a friend of Leyla Murat opened and closed the door of the room. Leyla Murat, thinking that Enver Vecdi had departed when she heard the sound, said “I love you. I acted that way with the fear that you would feel pity for me if you found out my situation.” Enver Vecdi understood that Leyla Murat was blind and hugged her saying, “My darling, darling”. Then all the theatre burst into tears. My grandmother was crying her eyes out!..”. These samples quoted from the memories briefly provided significant information about the events taking place in geographically distant cities during those years in Turkey. However, the influence of the Egyptian movies was not limited to the admiration of the public for these movies. Particularly the new musical constructions by Muhammed Abdülvehab became a source of inspiration for Turkish composers. The influence of Arabic music on Turkey through films and radios brought about a new model and trend in the Turkish music. Beginning with Muhammed Abdülvahab in Egypt, this situation became especially evident via artists singing at great orchestras. Besides, the number of strings in Turkish orchestras was increased as in Arabic orchestras. The increase in the number of instrumentalists was succeeded by musical instruments such as the accordion, piano, electro guitar. Featuring singers in films came into fashion in Turkey. The Turkish artist Mustafa Keser said: “…The Arabic music did not influence classical Turkish music. As a matter of fact, the direct opposite goes for our recent history; in other words, our music influenced the Arabic music. The Arabic melodies listened secretly started to yield fruit as an interim genre called arabesque. If the necessary measures could have been taken, the fascinating Arabic music from the voice of Ümmü Gülsüm would have been established in Turkey instead of the weird arabesque music…” . The musician Sami Özer was a fan of Ümmü Gülsüm who would listen to her concerts on the radio in his childhood. Özer told: “Then, I did not know who was singing. Years late in Medina, I encountered the voice which I had listened on the Cairo Radio when I was 12. She was singing Taleal Bedru. So I understood that it was Ümmü Gülsüm…”. The admiration of Turkish singers as Sezen Aksu and Bülent Ersoy for Ümmü Gülsüm is of common knowledge. Interestingly, the ban introduced on the music created a short-term problem in Egypt as well as in Turkey. The years during which the second President of the Republic of Turkey, İsmet İnönü, was in power (1938-1950) constituted the period during which the Turks kept away from Arabs to an ultimate extent. The interaction started following the fact that the country desisted from renouncing the Ottoman inheritance and turned its face towards brother countries in the Middle East, and also after the passage to multi-party system and during the mandate of the Democrat Party in 1950. The Prime Minister Adnan Menderes remarked: “…We are close friends with our Arab neighbours. Nonetheless sometimes these feelings seemed to be buried; we are sure that these were due to certain temporary reasons and from now on, these will be able to be totally eliminated…” . A similar Arabic language ban placed on the Arabic movies after that, which had been firstly introduced to the Classical Turkish Music on the radio by mentalities believing in disconnecting Turkey with the Middle East is possible by reviling and erasing all that belongs to the past, was imposed years later in Egypt and moreover on the concerts of Ümmü Gülsüm. After the revolution in Egypt as a result of which Muhammed Necip and Cemal Abdünnasır overthrew the King Faruk, the concerts of Ümmü Gülsüm which had been broadcasted on the first Thursdays of every month- Friday was an official holiday- for years on the Cairo radio, was banned in 1952. The similarity in mentalities from different countries was remarkable. Abdünnasır who heard about the situation via a journalist intervened and called the director of the radio and asked him the reason. The radio director expecting to be praised by his leader explained: “…Sir, the concerts were one of the most important symbols of the King Faruk period, so we winded them up…” Abdünnasır replied in rage and anger: “Then have you drained the Nile? Demolished the Pyramids? These were the symbols of the former administration as well. Start to broadcast the concerts, right now!” In this way the actors of the revolution in Egypt became aware of what they had done. They started to broadcast the radio concerts of Ümmü Gülsüm again who had an unprecedented influence on the Middle East and was admired by a large mass of audience on a wide geography ranging from Morocco to Turkey. According to some resources, the Department of Press in Ankara, which was disturbed by the interest of the public from İstanbul and other Anatolian cities in the Arabic films, completely banned the film import from Egypt in 1948. However, it was a complicated issue. For, the “ban” must have been either incorrect or enforced for a short time. A hundred and ten Egyptian movies had been shown in Turkey until 1948 and won a great success. Yet in 1949, Egyptian movies were on the screen in Ankara. Dr. Levent Cantek noted: “ …There were eight Egyptian films at the theatres in Ankara in 1949…” and asserted that the so-called ban on the film import from Egypt did not reflect the truth. The other point that would justify Dr. Cantek was the fact that Saadeddin Kaynak made composition for Egyptian films in 1950, namely two years after 1948, the year of the alleged ban. Had been the film import banned, how would it have been possible for Saadeddin Kaynak to continue to make compositions for Egyptian films in 1950? For the very reason, there must not have been any ban on the films. The other information proving that there was not such a ban was obtained from the Resimli Radyo Dergisi. Perihan Altındağ Sözeri, in her statement to the Resimli Radyo Dergisi in 1952, said: “… As we see Arabic films are more in demand than our films… However, this does not mean that we cannot shoot a film…”  and put a stress on the fair and square success of Egyptian films in our country. These phrases demonstrate that the Egyptian films were still shown in Turkey in 1952- four years later from 1948, the date of the alleged ban. As a consequence, what attracted the Turks to the Egyptian films in those years? Or what was the reason behind this great interest? The answers to these questions may be of paramount importance in arriving at the truest conclusion. They must have been attracted the Turks from a couple of aspects: Firstly, considering the conditions of the era, their popular music aspect was very strong. Those were the golden years in Egypt with respect to the music. The artists with the best voices, who are still listened with pleasure, would perform in the movies with the productions of the most powerful composers. Certain names such as Leyla Murad, Ümmü Gülsüm and Muhammed Abdülvahab featured in the movies. These names were not unfamiliar to the Turkish audience. The Turks were very familiar with their voices by means of radios, particularly during the times when the Classical Turkish music was banned or barely broadcasted. The Egyptian movies conformed to the Orient taste. To start, they passed in the Orient. The scenes in the films were familiar to the Turkish audience. Very said plots, the sombre compositions supporting them and the magical voices interpreting these compositions must be included in this definition. Certainly, it is indispensable to add the tears of the Turkish audience that were integrated with all this constancy. There is another reason behind the attractiveness of the Egyptian films: All these aforementioned customs were banned in Turkey, where people were wandering along the streets in veil, using Arab alphabet for centuries and listening to the azans recited in Arabic until a short while ago, owing to the Westernization movement taking place in those year when the Egyptian films on the screens. Besides, the Classical Turkish Music was banned on the radios and the newspapers speaking of banning them even in the night-clubs reviled a hundred-century old Turkish music. The Turks must have found the traces of their recent history in these movies. Moreover, some Egyptian films based their themes on the Islamic history. Ümmü Gülsüm would request that especially Islamic- Arabic history be treated in her films. “The Dearest of Harünürreşid” or “Selahaddin Eyyubi and the Grey Lion” treated this sort of historical stories and took the audience back to the past and enabled them to be integrated with the Islamic history. Above all, the decrease in the film import from the USA as a result of the World War II is stated as a reason behind the flourishing of Egyptian films in the market. Yet, due to the above mentioned reasons and the general structure of the community, Egyptian films would have won that great success they attained in Turkey even if the number of films imported from the USA had not been decreased. Unfortunately, even a single Turkish dubbed sample of these cantabile Egyptian films could not reach today. The Egyptian films have taken their reputable places in our common history, as an indispensable pleasure for the Turkish audience throughout fifteen-year long adventurous period during which they were screened in Turkish dubbed versions or in Arabic. Hence, though only in words, the Egyptian films deserve to be remembered by the Turkish audience. (ma) Latin lecturer at the department of archaeology at Mersin Universty Mersin – Turkiye ozyildirimmurat@gmail.com. From the preface written by Racy for the “ Music in the Arab World” Book- Turkey Edition, Racy, A., J., Arap Dünyasında Müzik Tarab Kültürü ve Sanatı (çev. S. Aygün), Ayrıntı Yay., 2007, Istanbul, ISBN 9789755394718, p. 14. Scognamillo, G., Türk Sinema Tarihi 1896 – 1959, Metis Yay., 1987, Istanbul, p. 99. Danielson, V., Mısır’ın Sesi Ümmü Gülsüm Arap Şarkısı ve Yirminci Yüzyılda Mısır Toplumu (Çev.N. Doğrusöz – C. Ünver), Bağlam Yayınları, 2008, Istanbul, ISBN 9789758803873, p. 161. Öztuna, Y., Büyük Türk Musikisi Ansiklopedisi, TC Kültür Bakanlığı/1163, Kültür Eserleri Dizisi/149, 1990, Ankara, ISBN 975 – 17 – 0668 – 8, p. 437. Yılmaz Öztuna, who shares his profound knowledge in the history of Turkish music in his works, notes the following for Abdülvahab in Öztuna, ibid., p. 436: “…Muhammed Abdülvehab was a vocal artist with a maddening faultless voice. He showed the same success as a composer. His compositions contain tempting overtone which capture people immediately. The tunes are clear and splendid; the sentences are neat and plain. The lyrics are lyrical and meaningful. The syllables are influential, the lyric division and the prosody are well-founded. The lyrics are connected with ingenious and charming tunes. The Saz are crowded and cosmopolitan. He composed beautiful saz songs…”. Özyıldırım, M., “Türkiye’nin Batılılaşma Süreci ve Mısır Filmlerine Getirilen Arapça Yasağı”, Eskiyeni Dergisi, 2008, Ankara, n. 8, pg. 115 – 122, ISSN 4556564 5456456, p. 116. Cantek, L., Cumhuriyetin Büluğ Çağı, İletişim Yay., 2008, Istanbul, ISBN -13 978-975-05-0557-7, p. 180’ notes that the Egyptian films entering into the market, particularly “The Tears of Love”, have great contributions in this increase. Özbek, M., Popüler Kültür ve Orhan Gencebay Arabeski, İletişim Yay., 2006, Istanbul, ISBN 9754701954, p. 150. Ünlü, C., Git Zaman Gel Zaman Fonograf – Gramofon – Taş Plak, Pan Yay., 2004, Istanbul, ISBN 975-843-429-2, p. 361. Cantek, L., Cumhuriyetin Büluğ Çağı, İletişim Yay., 2008, Istanbul, ISBN -13 978-975-05-0557-7. p. 178. Cantek, L., “Türkiye’de Mısır Filmleri”, Tarih ve Toplum Dergisi, 2000, Istanbul, n. 204, pg. 31 – 38, ISSN 1019 – 4681, p. 35. The letter in question is the petition No 8/44280 dated 10.02.1942 of the CHP; Özyıldırım, M., “Doğumunun Yüzüncü Yılında Ümmü Gülsüm: Şarkın Sönmeyen Yıldızı”, Orkestra Müzik Dergisi, 2004, Istanbul, n. 353, pg. 47 – 61, p.56. Öztuna (ibid., p. 437) notes that the mentioned ban stipulates the prohibition of the presentation of Egyptian films in Arabic. Scognamillo, G., Cadde-i Kebir’de Sinema, Metis Yay., 1991, Istanbul, ISBN 975-7650-62-5, p. 32. Açık Radyo, 25. 11. 2006. Ünlü, C., Git Zaman Gel Zaman Fonograf – Gramofon – Taş Plak, Pan Yay., 2004, Istanbul, ISBN 975-843-429-2, p. 359. Özel Akagündüz, Ü., “Kahire’de Ümmü Gülsüm Aramak”, Aksiyon Dergisi, 2007, Istanbul, n. 636, pg. 37 – 38, ISSN 1300 – 8323, p. 37. Dikici, R., Cumhuriyet’in Divası Müzeyyen Senar, Remzi Kitabevi, 2005, Istanbul, ISBN 9751410479, p. 115. Resimli Radyo Dünyası special issue: “Perihan Altındağ Sözeri”, Ege Matbaası, 1951, Istanbul, n. 2, pg. 3 – 47, p. 28. Kandemir, “Ümmü Gülsüm”, Yeni Mecmua Dergisi, 1940, Istanbul, n. 43, pg. 6 – 9, p. 24. Aydın, H., “Sinemanın Taşrada Gelişim Süreci: Konya’da İlk Sinemalar ve Gösterilen Filmler (1910 – 1950)”. here: http://www.sosyalbil.selcuk.edu.tr/sos_mak/makaleler/Hakan%20AYDIN/AYDIN,%20HAKAN.pdf. Özbek, ibid., p. 150; See: Cantek, L., “Türkiye’de Mısır Filmleri”, Tarih ve Toplum Dergisi, 2000, Istanbul, n. 204, pg. 31 – 38, ISSN 1019 – 4681, p. 34; Cantek, L., Cumhuriyetin Büluğ Çağı, İletişim Yay., 2008, Istanbul, ISBN -13 978-975-05-0557-7. p. 188. Cantek (2008), ibid., p. 185, However, researches provide different-though close to each other- number about the numbers. For instance, Özbek (ibid., 150) writes a hundred thirty. Resimli Radyo Dünyası 1952, special issue 2 pg. 28. Bu makale, http://www.orient-online.com/Issues/ORIENT-III-2010 adresinde, German Orient Institute’un dergisinde yayınlanmıştır.